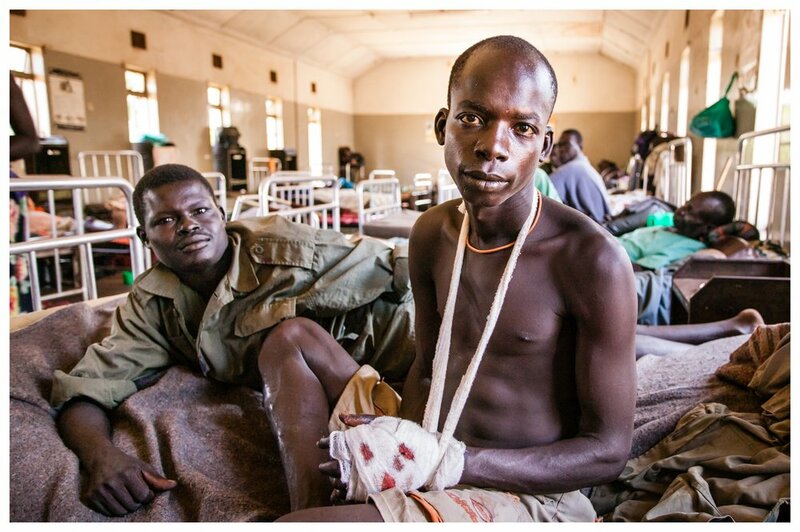 Kitgum Government Hospital cares for injured combatants from both sides of the conflict between the UPDF and the LRA. Amongst the injured in the military wing we found Walter, a UPDF soldier with a heavily bandaged hand. His friend had accidentally shot him whilst cleaning his gun.